What do YOU want on the C&T Podcast in 2017? 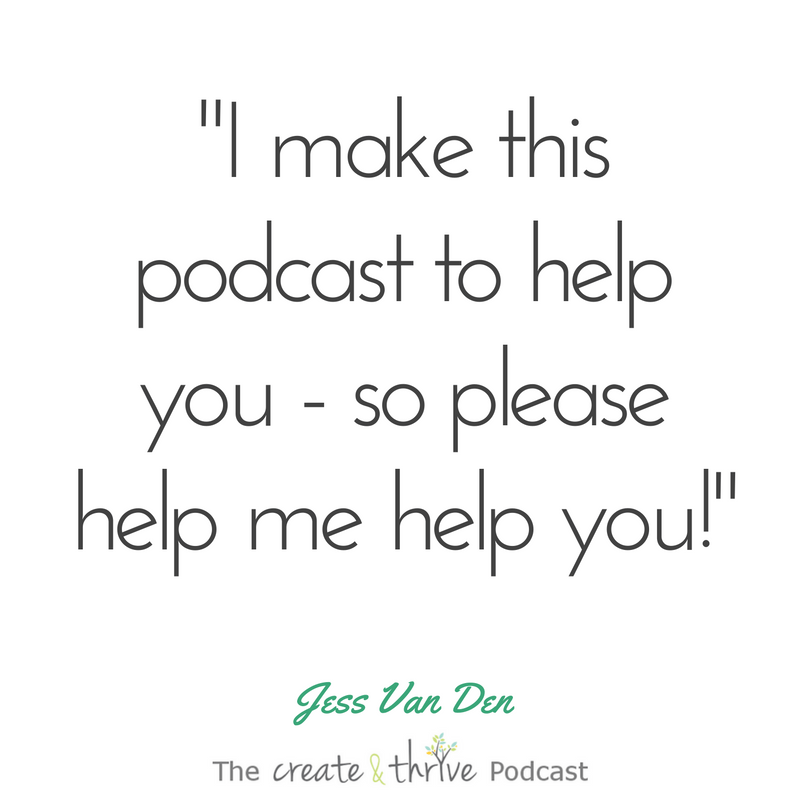 I started the Create & Thrive Podcast in April 2015, and I have loved creating a new episode (almost!) every week since then for you, my lovely listener. Here we are, at episode 80, and as the year is slowly ticking down, I decided it was time to turn the tables. Instead of you learning from me this week, I want to learn from you! 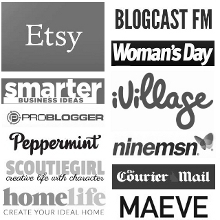 Each week, I try to create useful, interesting, and relevant episodes that will help you on your handmade business journey. And I believe that there’s no better way to ensure I’m doing just that than to actually ask you. So, this week I’m asking you to take 10 or so minutes of your time to help me make the C&T Podcast more interesting, more relevant to you, and more helpful in 2017. I have created a survey, which you can access right here, for you to fill in. Every question is optional, and it is anonymous (unless you’d like to tell me who you are, which is most welcome!). In it, I’m aiming to get a picture of you, your business, AND exactly what you’d like to hear me speak about on the podcast. I also ask you to share the names of anyone you’d like to hear me interview – I’d love to start doing more interviews next year. I also give you the chance to pitch yourself as a guest! I know surveys can be a bit blah and boring, but please, please – if you are a loyal listener (or even a sporadic or new listener!) this will REALLY help me to help you going forward! This isn’t just a lip-service survey, I fully intend to utilise as much of your feedback as I possibly can. Enormous thanks in advance for helping me to help you!